Alciphron, or the Minute Philosopher (1732) is Berkeley's main work of philosophical theology and a crucial source of his views on meaning and language. This edition contains the four most important dialogues and a selection of critical essays and commentaries reflecting the response of such writers as Hutcheson, Mill and Antony Flew. 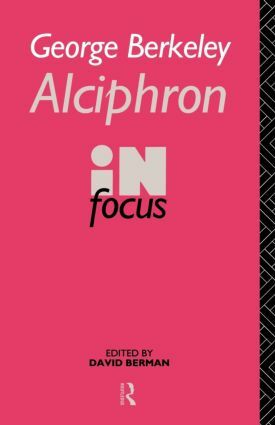 The only single edition currently in print, it argues that Alciphron has a more important place both in the Berkeley canon and in early modern philosophy than is generally thought.